I used to be a chemical girl… I mean for my skin…but since adopting a (mostly) clean living lifestyle, I have started to feel that my skincare routine needs to represent, and reflect this. You are what you eat. Ok, we know that. But if you eat clean and then put harmful chemicals onto your skin, it kind of negates the whole ethos of being healthy, which is not only damaging to you, but also to the environment. I realised this when I was nutribulleting all day, detoxing, and then putting the most chemically, and heavy scented night cream on which made my eyes water. All I could think about was the factory it was made in. Probably China, and also containing ingredients that aren’t real, or ethical. Since then, I have moved towards a more natural approach… not completely, as I still love my Chanel, and Dior … But it’s a step in the right direction. I’m fascinated by nature, and the healing properties of natural ingredients. They not only smell and feel amazing, they feel like they feed your skin with goodness as soon as they are applied. As natural beauty is a thing, it is still quite difficult to find the right product as there is so much choice out there. I have a few favourite brands I always use, but I have recently discovered the amazing and inspirational company called Dr Jackson’s who make 100% natural products. 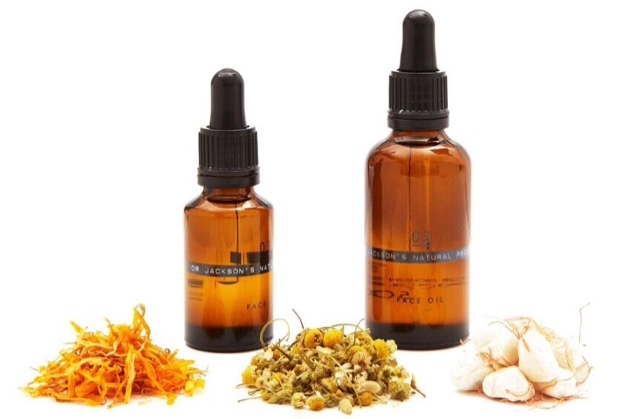 With 21 years of experience treating skin conditions for patients with Cancer, Dr Jackson decided to create an anti ageing skincare line for the mass market using the best from nature, and techniques which mimic the ways that natural ingredients use to treat skin disorders. The products are all ethical – natural, not tested on animals, very low and practically no carbon footprint, and supports indigenous and local communities by creating sustainable jobs and eduction programmes. That’s amazing right? Finally, mix all of the above with a few years of living in East London and you have a super cool brand that is so luxurious, it puts the hip back in hippie! 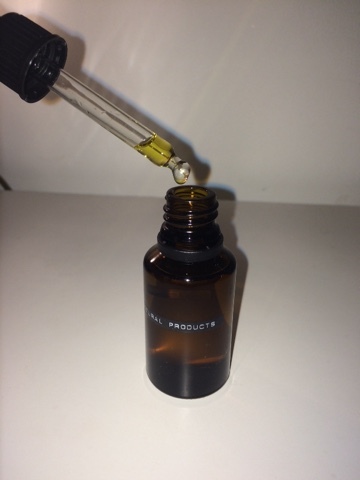 The 03 Face Oil comes in a really cool small brown chemistry bottle, with a minimal label. You only need a few drops for complete coverage of the face. It’s super powerful, comforting, and feels quite heavy on the skin making it perfect for the winter and nighttime. I wouldn’t wear it under makeup. As it’s been so cold lately my skin has taken a battering with the wind, and freezing temperatures. Also my recurring flu like symptoms have dulled my skin, and I’m always in pain. 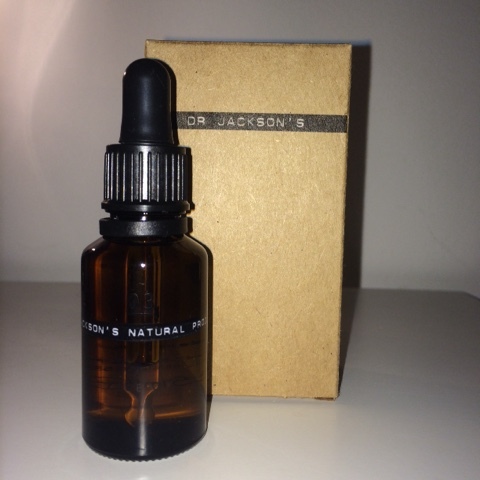 Since using the Dr Jackson Face Oil, I have noticed a difference in radiance, and softness. It’s like glamorous medicine. I can’t really tell if it’s anti ageing yet, as it’s only been a month, and I don’t have any scars, but my complexion has definitely improved. I have seriously felt so drained and tired lately but I never look it and everyone has been asking me what I use on my skin. Below are the ingredients and the amazing healing properties of this magical youth elixir. Did I mention it smells incredible too? It’s insane how amazing it smells, I have been tempted to wear it as a perfume. It’s pure alchemy, you have to try it. Arnica, typically used for bruising, has potent healing properties that repair damaged tissue.